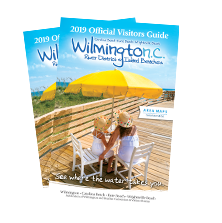 Our multi-use Convention District, located along the riverfront within Wilmington’s downtown River District, is connected by nearly two-miles of scenic Riverwalk that makes it easy for attendees to get around. We cater to small businesses, regional associations, large corporations, family reunions or somewhere in between. 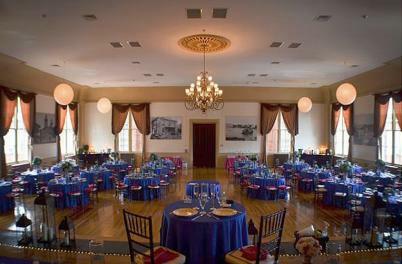 From state-of- the-art wireless exhibit halls and elegant ballrooms to the irresistible charm of a historic home with soul-stirring porch views as a special event venue option, our variety of venues is unmatched and always appealing. The sleek, 107,000-square- foot Wilmington Convention Center is the largest convention center on NC’s coast. Located downtown, it offers sweeping riverfront views and plenty of natural light that helps bring the outdoors in. 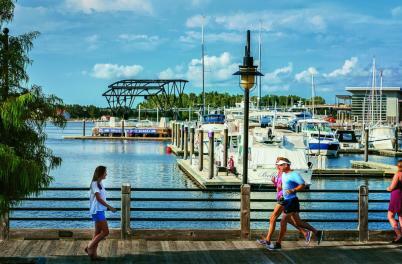 Adjacent to the convention center is Pier 33 Entertainment, the event pier at Port City Marina. 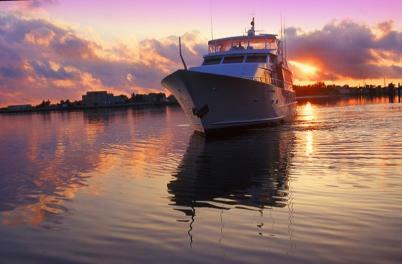 Networking and socializing become a breeze when it takes place on or by the water. Other downtown meeting facilities include the historic Coastline Conference and Event Center, which retains the charm of its red brick railroad depot days while offering modern amenities and 10,150-square- feet of meeting space. 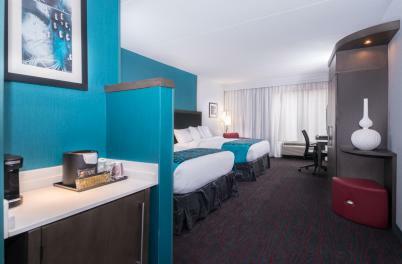 Nearby, the Hotel Ballast, Tapestry Collection by Hilton offers 20,000-square- feet of meeting space, plus an on-site Ruth’s Chris Steak House. The maritime-themed Wilmington Convention Center offers meeting capabilities from 20 to 2,000 people and a variety of spaces. Its surroundings lead to a positive frame of mind and productivity with access to water views, fresh air, and options for wellness and/or networking activities offered during breaks. 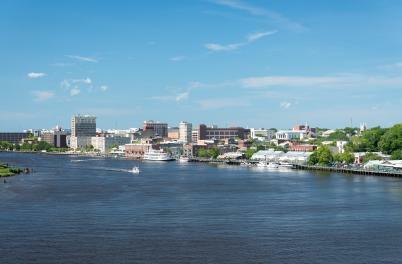 Wilmington’s Convention District offers outstanding accommodations and meeting facilities. 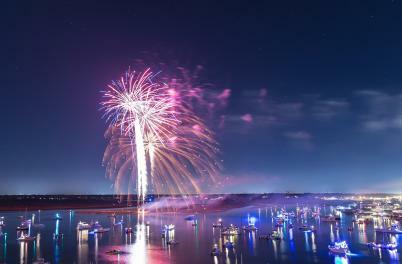 Multiple nearby hotels with nearly 900 rooms and suites – and more on the way - are all located within walking distance of the convention center and connected by the Riverwalk along the Cape Fear River. Existing properties include brand name hotels. 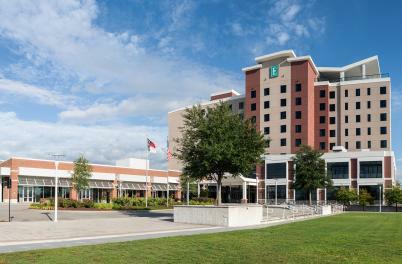 In addition to the Hotel Ballast, Tapestry Collection by Hilton and the Best Western Plus Coastline Inn, new properties include the Embassy Suites Wilmington Riverfront Hotel located adjacent to the Wilmington Convention Center offering 6,600-square-feet of meeting space and a 4,000-square-foot rooftop bar, along with the Hampton Inn Wilmington Downtown perfect for overflow rooms. 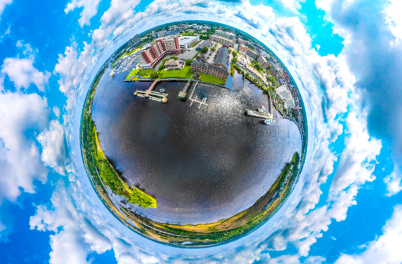 Take a virtual tour of the Convention District by viewing our SkyNAVTM 3D Tour, request a Convention District Guide to downtown Wilmington or view the guide online for more information.